March 7th and 8th, we were graced with another visit by Leah Penniman of Soul Fire Farm, as she shared her presentation “Farming While Black”, inspired by her recent book, “Farming While Black.” She also facilitated two Land Access and Reparations Workshops, one open to the whole community, and another specifically for the BIPOC (Black, Indigenous, People of Color) community. All of these events were fully attended at the Tompkins County Library in the Borg Warner room. We are grateful for our friend, Leah! The information she brings to the community is akin to a basket of seeds. During her talk, “Farming While Black”, we were inspired and left hopeful about how we can continue to grow our farming practices, continue to empower the BIPOC community, and create land access, which Friday’s workshop began to address. 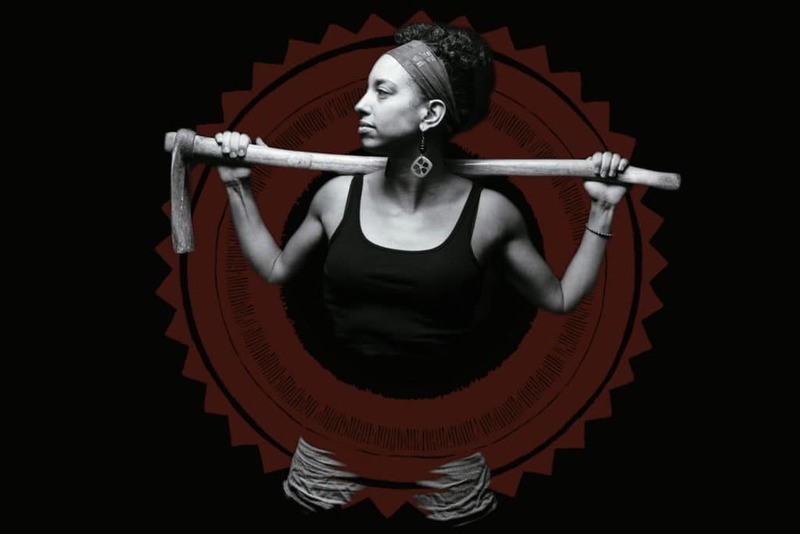 As we are constantly looking into our global climate change crisis, the questions raised during “Farming While Black” and some of the solutions mentioned could prove to be invaluable as farmers, growers, land-stewards, land-lovers. During the Land Access and Reparations workshops, (which the morning session was full and wait-listed!) there was more discussion and problem-solving activities to address the issue of Land Access for the BIPOC community. We are grateful for the attendance of Sachem Sam George, and Stephen Henhawk (both Gayogohó:no’). It is incredibly important that our Gayogohó:no’ (Cayuga) relatives be included in these land access conversations, and that a culturally sensitive space be cultivated. Friday’s workshop in this sense didn’t only address Land Access and Reparations, but community and trust building relationships. So, we thank all of those in attendance who contributed to this, and to Leah for facilitating and moderating these sessions. We also want to thank Pachamama, The Youth Farm Project, Rootwork Herbals as essential parts of the whole, and our sponsors and funders: Home Green Home, GreenStar, Food Forest Farm, Finger Lakes Cider House, Full Plate Farm Collective, and the Community Foundation of Tompkins County. We have already received inquiries regarding the Land Access and Reparations actions. We are working on organizing resources and community around this topic, and will be having a debriefing session with some of the community organizers soon. Stay tuned for more information about Land Access work in the Finger Lakes. Feel free to check out this other blog post for another resource regarding Land Access. In the meantime, we have a link to a video of Leah’s special seminar and panel discussion at the Cornell Small Farms Program.